Doctor Who is a British science fiction television program produced by the British Broadcasting Corporation. 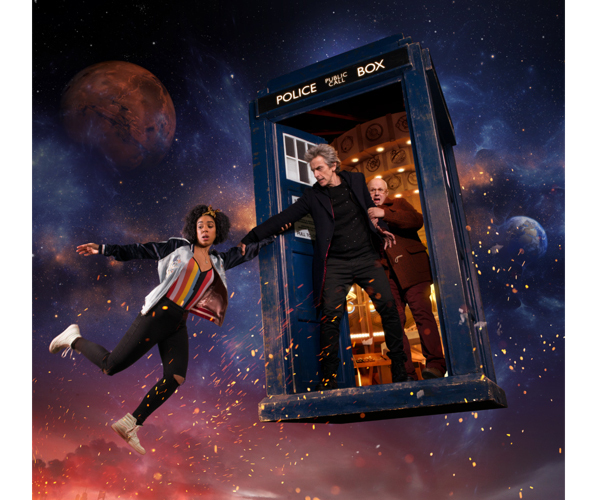 The series depicts the adventures of a time-traveling, humanoid alien known as the Doctor who explores the universe in a time machine that flies through space and time called the TARDIS. It appears as a blue police box from London. The program first made it's debut in 1963 and returned in 2005, depicting the travels of the Ninth Doctor. The series marked it's 50th anniversary in 2013. Lady Sandra Home Fashions has teamed up with the BBC to bring together the Doctor Who Home Fashion Collection. This extraordinary collection includes throws, cushions, wall décor and bedding. All featuring the TARDIS, Dalek, and Doctor Who characters.